Cornerstone Roofing is honored to be chosen for Angie's List's "Pages of Happiness" magazine feature - Cornerstone Roofing, Inc. 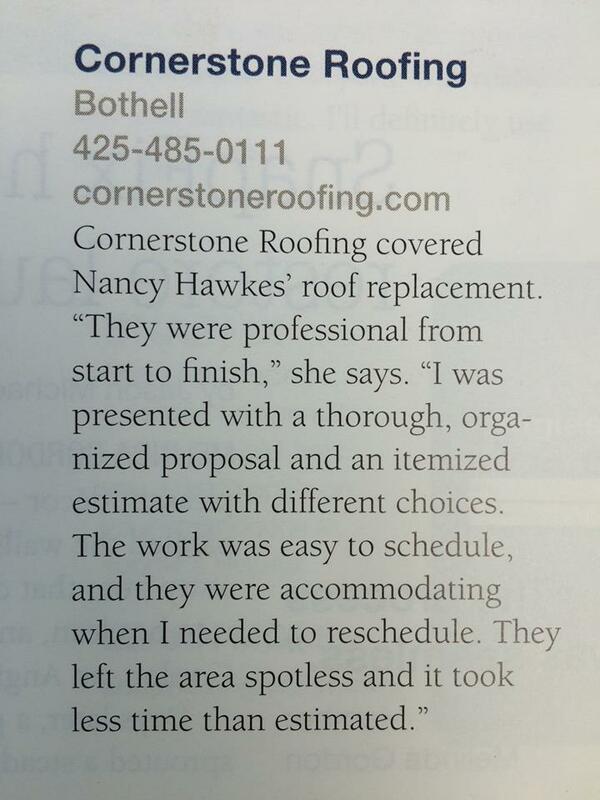 Cornerstone Roofing, Inc. is featured in a popular consumer review site, Angie’s List’s, “Pages Of Happiness” in their magazine! Thank you on behalf of the team at Cornerstone Roofing!